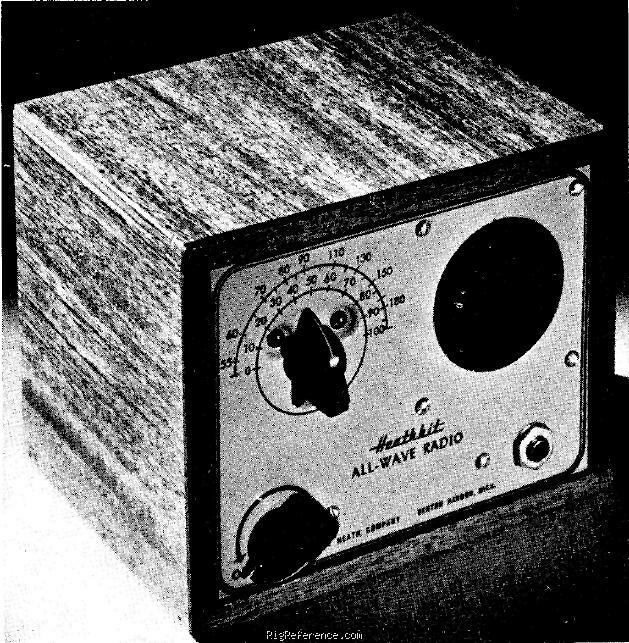 The Heathkit K-1 was described as an "All-Wave Beginner's Radio". It used a three tube regenerative detector and beam power amplifier. The K-1 was the first kit to use a transformer power supply, making it a much safer receiver to work with since the danger of shock between the radio and water pipes, radiators, etc. is eliminated. Estimating the value of a rig can be challenging. We collect prices paid by real hams over the years to help you estimate the current value of the Heathkit K-1. Just bought or sold this model? Let us know what you traded it for and help other ham operators!